Who Can Sue and Be Sued? Any individual, business, partnership, or corporation (with a couple of exceptions) may bring a small claims suit for recovery of money only for an amount up to $5,000. A claim can be filed in any King County District Court location, however, small claims cases are only heard in Issaquah, Renton, Seattle, Shoreline and Vashon. You may select the courthouse location you wish your claim to be heard in as long as other jurisdictional requirements apply. In the case of a traffic accident, or an unlawfully issued check, small claims cases will be filed in the county where the accident occurred or check was issued. The Parties Present Their Cases Themselves: Attorneys and paralegals are excluded from appearing or participating with the plaintiff or defendant in a small claims suit unless the judge grants permission. You may consult an attorney before you go to court or after. When will the case be heard? Cases are generally heard between 40 and 90 days from the date of filing. You will be given a date and time to appear for your trial. There will be other small claims trials scheduled for the same date and time as yours. Typical Cases: Typical cases involve, but are not limited to, auto accidents, property damage, landlord/tenant disputes and collection of personal debts. The Trial: Your case will be heard by a District Court Judge, Commissioner or judge pro-tem. A commissioner has all the responsibilities and powers of a judge. A judge pro-tem is an attorney who is hired to fill in for judicial vacations and sick leave. A judge pro-tem also has all the responsibilities and powers of a judge. Each party will have a chance to tell their side of the story. It is important to bring evidence such as photos, witnesses, bills, receipts, contracts or anything else that will prove your case. The judge may decide the case at the time of the hearing or mail it to the parties later. If You Want to Appeal a Decision: The party who files a claim or counterclaim cannot appeal unless the amount claimed exceeds $1,000. No party may appeal a judgment where the amount claimed is less than $250. An appeal must be filed within 30 days of the entry of the judgment and all required fees must be paid at that time. To begin the small claims process: Simply complete and submit the online questionnaire. We will incorporate the information that you provide into the appropriate jurisdictional application form(s). We will contact you with any questions or to confirm information during the document preparation process. Once payment to Eclipse Process Service is received, documents along with a self addressed, stamped envelope will be mailed for you to sign, date and return. We will file the small claims with the court to obtain a case number and trial date. You will be provided with a copy of the Notice of Small Claim and we will serve the opposing party and file the proof of service with the court. We will provide you with a file copy of the filed proof of service to take with you on your hearing date. In the State of Oregon, a person may sue for up to $10,000 in Small Claims Court. Small Claims is an easy and inexpensive way to resolve disputes in a timely manner. Lawyers are not allowed to represent in small claims court but can be consulted through the small claims process. Any individiual, business, corporation or partnership may bring a suit for an amount up to $10,000. NOTE: The fees spent on court filing/serving fees may be awarded/added to the amount of the judgment against the defendant(s). A Small Claims case can be filed for the recovery of money only. This amount cannot exceed $5,000. While an attorney is not permitted to represent you at the mediation or trial of a Small Claims action, s/he may provide you with assistance in preparing your case and/or collection any judgment which may be obtained. BE ADVISED – If a judgment is awarded, the Court does not collect the money. A claim must be verified by the real claimant and no claim shall be filed by the assignee of a claim. You must file the case in the court where the party you wish to sue resides or, in the case of a business, where the business is located. If the case is the result of a traffic accident, the case may be filed in the district where the accident occurred. The amount of the claim cannot be increased after the claim is filed. Plaintiff must be 18 years or older. The filing fee is $39.00. Plaintiff must correctly identify the Defendant, i.e. individual, (owner) sole proprietorship, partnership, corporation, etc. If the Defendant is not correctly named, judgment may not be granted. Filing fees are not refundable. Plaintiff must designate the proper residence address of the Defendant, and if possible, the telephone number. If filing a claim on behalf of a privately owned business, the business owner must file the claim and represent the business at all times during the process in court. If filing a claim on behalf of a corporation, you must file a notarized corporate affidavit authorizing you to represent the corporation. Corporations may appoint more than one person on the corporate affidavit; but, the person filing the claim should be the person representing the corporation in court at mediation and trial. A sample of this form can be found on the court’s website. A defendant corporation must file a notarized corporate affidavit authorizing you to represent the corporation. It is the responsibility of the Plaintiff to have the Notice of Small Claim served on the Defendant not less than ten (10) court days prior to mediation. You cannot personally serve the claim on the defendant. You must file the return receipt with the Court to show proper service. After service is completed, a Declaration of Service must be signed by the server and filed with the Court. This document should include date and time of service, who was served, address where it was served, and the name of the person who served the form. It is recommended the parties contact each other prior to mediation and attempt to settle the case. If the claim is settled before mediation, the Plaintiff must notify the Court in writing so the case may be dismissed. If the Defendant believes the Plaintiff owes s/he money, a counterclaim must be filed. The filing fee is $39.00. This must be served on the Plaintiff after filing the document with the Court. The form is available at the Court or on the court’s website. citizens perform checks on a party’s military status. If no proof of Claim or service are provided, the Claim may be dismissed. appears, the case will be dismissed without prejudice. All claims dismissed or defaulted at mediation are reviewed by a judicial officer. Both parties must prepare their case and bring witnesses and other evidence (documents, photographs, drawings, etc.) to support their claim or defense. Parties MUST bring original proof, which the court will retain, and two additional copies, one copy for yourself and one copy for the opposing party. Witnesses must have personal knowledge of the facts about which they are asked to testify. Documentation must be identified and explained by a person with personal knowledge of the facts. If the Plaintiff is present and the Defendant fails to appear, a default judgment will be entered if sufficient proof is provided. Once judgment is granted, it is the duty of the losing party to pay without delay. $89.00 BASIC SERVICE AND FILE FEE INCLUDES: SERVE CLAIM AND FILE PROOF OF SERVICE WITH THE COURT. WE PROVIDE YOU WITH A FILE COPY STAMPED BY THE COURT TO TAKE WITH YOU TO HEARING. NOTE: If you win your case, you may be awarded your costs of filing and service fees. $189.00 FULL SERVICE FEE INCLUDES: CLAIM PREPARATION AND FILING WITH THE COURT, SERVE CLAIM AND FILE PROOF OF SERVICE WITH THE COURT. WE PROVIDE YOU WITH A FILE COPY STAMPED BY THE COURT TO TAKE WITH YOU TO HEARING. $99.00 BASIC SERVICE AND FILE FEE INCLUDES: SERVE CLAIM AND FILE PROOF OF SERVICE WITH THE COURT. WE PROVIDE YOU WITH A FILE COPY STAMPED BY THE COURT TO TAKE WITH YOU TO HEARING. You must pay the court clerk a filing fee of $29 at the time the suit is filed. A portion of this fee ($15) is dedicated to support of the county dispute resolution center. A Notice of Small Claim form that is provided by the clerk. On the Notice form a hearing date, trial date, or response date will be entered by the clerk. It is the plaintiff's responsibility to accurately identify the defendant, provide a proper address and, if possible, provide a phone number. To prepare for the trial, collect all papers, photographs, receipts, estimates, canceled checks, or other documents that concern the case. It may be helpful to write down ahead of time the facts of the case in the order that they occurred. This will help you to organize your thoughts and to make a clear presentation of your story to the judge. Also, be sure to make a bench copy of all documents for the judge and another copy for the opposing party. Don't be nervous--remember that a trial in small claims court is informal. The judge will ask the plaintiff to give his or her side first, then will ask the defendant for his or her explanation. Be brief and stick to the facts. The judge may interrupt you with questions, which you should answer straight out and to the best of your knowledge. Be polite--do not interrupt--not just to the judge but also to your opponent. If your appeal is taken and the judgment is not paid within 30 days, or the time set by the court in a payment plan, you may request (in writing) and upon payment of a $20 fee, that the judgment be entered into the civil docket of the court. The party who files a claim or counterclaim cannot appeal unless the amount claimed exceeds $1,000. If an appeal is taken to the superior court, the appealing party is required to follow the procedures set out in Revised Code of Washington (RCW) 12.36. Deposit at the district court the $220 Superior Court filing fee either in cash, money order, or cashier's check payable to the Clerk of the Superior Court. There may be additional fees that you will need to pay as set forth by local court rule. Any individual, business, partnership, or corporation (with a couple of exceptions) may bring a small claims suit for recovery of money only where the amount claimed does not exceed $5,000. Attorneys and paralegals are excluded from appearing or participating with the plaintiff or defendant in a small claims suit unless the judge grants advance permission. When you file a small claims in the Everett, Evergreen or South Divisions you will participate in a mediation hearing at the courthouse prior to scheduling a trial date. Volunteers of America Dispute Resolution Center provide trained mediators who assist in the settlement of a wide variety of disputes. To learn more about preparing for your mediation hearing please visit the Dispute Resolution Center at http://www.voaww.org/Get-Help/Dispute-Resolution-Services/MediationFacilitation/Small-Claims-Court-Mediations. To start a small claims case, the plaintiff must file the case either in the District Court division where the party being sued (the defendant) resides or, in the case of a traffic accident, in the District Court division where the accident occurred. Questions regarding which District Court division to file in may be answered by referring to Rule 3 of the Snohomish County Local civil rule for Courts of Limited Jurisdiction. 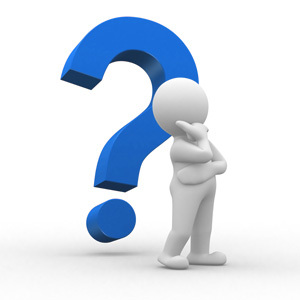 Other questions regarding proper jurisdiction may be answered by referring to RCW 3.66.020 and RCW 3.66.040. Questions regarding statutes of limitation for Small Claim suits may be answered with reference to RCW Chapter 4.16. At the time of filing, the plaintiff must pay a filing fee of $29.00 (in Snohomish County). The plaintiff is then given a mediation date and a copy of the claim form to be served upon the defendant. It is the responsibility of the plaintiff to accurately identify the defendant (either as an individual, a corporation, or as an individual or a corporation doing business under another name), provide a proper address (for the defendant) and, if possible, provide the defendant’s telephone number. The defendant may file a counterclaim against the plaintiff for any money he believes the plaintiff owes him, but this must be done immediately upon receipt of the claim of the plaintiff. It is the responsibility of the plaintiff to see that the claim form is served upon the defendant no less than ten (10) days prior to the trial date. The plaintiff may also have additional fees payable to a process server to have the Notice of Small Claim served on the defendant. If the plaintiff wins the case, the plaintiff is entitled to recover the costs of filing and service fees. The trial in the Small Claims court is between the plaintiff and the defendant. No attorneys are allowed to represent either party except in certain cases where advance permission is obtained from the judge. Both parties must prepare their case and bring those witnesses or other evidence (such as documents, records, photographs, or drawings) to court to support their claim or defense. Witnesses must have personal knowledge of the facts they are asked to testify about. Documents, records, photographs and/or drawings must be identified and explained by a person with personal knowledge of them. If the any of the parties are unfamiliar with small claims court procedure, it is be a good idea to sit through a small claims court session before the hearing to learn firsthand how small claims cases are heard. Don't be nervous--remember that a trial in small claims court is informal. 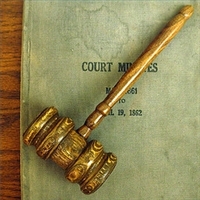 The judge will ask the plaintiff to give his or her side first, then will ask the defendant for his or her explanation. Be brief and stick to the facts. The judge may interrupt you with questions, which you should answer straight out and to the best of your knowledge. Be polite--do not interrupt--not just to the judge but also to your opponent. Whatever happens, keep your temper. Good manners and even tempers help the fair, efficient conduct of the trial, and make a good impression. If the court enters a judgment against the defendant, or if the defendant has filed a counterclaim and is granted judgment against the plaintiff, it is the duty of the losing party to pay without delay. After payment is received the court must be notified in writing that the judgment has been satisfied. A money judgment in the plaintiff’s favor does not necessarily mean the money will be paid. The small claims court does not collect the judgment for the plaintiff. If no appeal is made and the judgment is not paid within 30 days, the plaintiff may submit a written request to the District Court for the judgment to be entered in the civil docket of the court. The clerk will assign and notify the plaintiff of the new case number. No appeal is allowed from a judgment where the amount claimed was less than $250.00 No appeal is permitted by the plaintiff where the amount claimed was less than $1,000.00. If an appeal is taken to Superior Court, the appealing party is required to follow the procedures set out in RCW 12.36. An appeal must be filed within 30 days of entry of judgment. Detailed instructions for filing a small claims appeal are available from the District Court. Court personnel are not permitted to give legal advice as to any aspect of the case. It is against the law for them to do so. They will provide the Notice of Small Claim and certain other basic forms, and they will file these and set a date for a trial. They cannot complete the forms for the plaintiff and they cannot answer legal questions or give advice as to the conduct of the case. While an attorney is not permitted to represent either party at the trial, an attorney may provide either party with assistance in preparing a case and/or in collecting any judgment which may be obtained. Most of the information above was taken directly from a publication produced by the state Office of the Administrator of the Courts and modified to reflect the circumstances of Snohomish County. PROVIDE INFORMATION ABOUT DEFENDANT IF KNOWN - APPEARANCE, VEHICLE, SCHEDULE, FAMILY NAMES AND APPROXIMATE AGES. Etc. ANYTHING THAT MAY AID IN SUCCESSFUL SERVICE. PLEASE PROVIDE AN E-MAIL ADDRESS TO CONTACT YOU SHOULD WE HAVE ANY QUESTIONS. PLEASE INDICATE YOUR PREFERRED METHOD OF PAYMENT. * PROVIDE E-MAIL ADDRESS TO PAY BY PAYPAL, DEBIT OR CREDIT CARD. 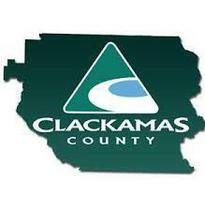 The Small Claims Department of the Lewis County District Court can be used for the recovery of money only where the amount claimed does not exceed $5000. To start a case in the small claims court, you must either file the case in the district where the Defendant resides or, in the case of a traffic accident or similar incident, in the district where the accident occurred. The person who files the claim is called the Plaintiff. The person against whom the claim is made is called the Defendant. At the time of filing, the Plaintiff must pay a filing fee of $29. It is the responsibility of the Plaintiff to accurately identify the Defendant (either as an individual, a corporation, or as one or the other doing business under an assumed name) and designate the proper address of the Defendant and, if possible, his or her telephone number. It is also the responsibility of the Plaintiff to see that the Notice of Claim form is served upon the Defendant. The Defendant may file a counterclaim against the Plaintiff for any money he believes the Plaintiff owes him, but this must be done immediately upon receipt of the claim of the Plaintiff. Service of the Notice of Claim form can be accomplished by a process server. For service to be valid, the Notice of Claim form must be served on a Defendant at least 10 days prior to the return date appearing in the “Notice of Claim”. Once service has been completed, a certificate/proof of service form must be signed by the server and filed with the Court. The person who does the service must sign the certificate/proof of service form under penalty of perjury. The purpose of the first hearing is to see if the claim is going to be denied, admitted, or a default judgment entered. The Defendant must appear on the return date shown on the Notice of Claim or file a written answer with the Court before the scheduled return date. If the defendant does not appear or answer, and the Plaintiff has proof of service, proof of claim, and an affidavit of non-military service, a default judgment for the amount of the claim will be entered. If the Defendant appears and admits liability, an agreed judgment will be entered. The Defendant has the right to ask for a time payment of the judgment. If the Defendant appears and denies the claim, a small claims trial will be set about 30-60 days in the future. The Defendant will be asked to fill out a form indicating in writing why the claim is being denied. The parties will need to have their witnesses and evidence ready on the trial date. If the Plaintiff prevails, a judgment will be entered and the Defendant has the right to request time payments. If the Defendant prevails the case will be dismissed. The trial in the small claims court is between the Plaintiff and the Defendant and no attorneys are allowed to represent either side except in certain cases where advance permission is obtained from the judge. Both parties must prepare their case and bring those witnesses or other evidence such as documents, records, photographs, or drawings to Court to support their claim or defense. The Court will not issue subpoenas in small claim cases. Court procedures in case presentation apply even though the hearing is informal. Court procedures for the presentation of evidence may differ from court to court, and you should ask the court clerk if you have any questions. Witnesses must have personal knowledge of the facts they are asked to testify about. Documents, records, photographs, and/or drawings must generally be identified and explained by a person with personal knowledge of them. If the Defendant fails to appear for trial, the Plaintiff will be granted a default judgment for the amount of the claim proved in Court, provided the Plaintiff can show proof of service. If a judgment is entered by default however, the Court cannot award an amount which is greater than the amount which was originally requested in the Notice of Claim. If the Court orders judgment against the Defendant, or if the Defendant has filed a counterclaim and is granted judgment against the Plaintiff, it is the duty of the losing party to pay without any delay. When both parties are present, either party can request the Court to order a payment plan. After you receive payment, you must notify the Court in writing that the judgment has been satisfied. The clerks and other court personnel are not permitted to give you legal advice as to any aspect of your case. It is against the law to do so. They cannot fill these forms out for you and they cannot answer legal questions or give instruction as to the conduct of your case. If after a judgment has been entered in your case and you wish to appeal the Court’s decision, please ask the clerk for the Small Claims Appeal Sheet. $199.00 FULL SERVICE FEE INCLUDES: CLAIM PREPARATION AND FILING WITH THE COURT, SERVE CLAIM AND FILE PROOF OF SERVICE WITH THE COURT. WE PROVIDE YOU WITH A FILE COPY STAMPED BY THE COURT TO TAKE WITH YOU TO HEARING. The clerk is not allowed to give legal advice or attempt to predict how the judge might rule in a given situation. A clerk may assist with general information about the process, but may not legally do more. Any individual, business, partnership, or corporation (with a couple of exceptions) may sue in small claims court. The state of Washington may not be sued in Small Claims Court. The court can award a judgment for the recovery of money only. The court cannot determine possession or ownership of property. The limit is $5,000. Also, you are not allowed to split a cause of action into two cases to avoid the jurisdictional limit. Generally, if two cases arise out of the same event or transaction, they must be joined and are subject to the $5,000 jurisdictional limit. As a general rule the case must be filed in the county of the defendant's residence. In the case of a traffic accident, it may also be filed in the county where the accident occurred. Attorneys and paralegals are prohibited from appearing or participating with the plaintiff or defendant in a small claims suit unless the judge grants permission. The person filing the suit (plaintiff) must pay the court clerk a filing fee of $29 at the time of filing. Additional fees must be paid to have the Notice of Small Claims served on the defendant by a process server. The prevailing party may recover the filing fee and costs of service as a part of the judgment. It is the plaintiff's responsibility to accurately identify the defendant, provide a proper address and, if possible, provide a phone number. The Notice of Small Claim may be served on the defendant by a process server. The Notice of Small Claim must be served on the defendant not less than ten (10) days before the first hearing. A “return of service” (an affidavit or declaration attesting to the date, time and manner of service), must be filed at or before the time of the first hearing. Plaintiff cannot personally serve the defendant with the claim. The first time the parties appear in court will not be a trial. Do not bring witnesses or exhibits to this hearing. If both parties are at the First Appearance, the case will be sent to mediation at that time. Mediation is a process where the two parties meet with a neutral third party and attempt to settle the case without the necessity of a trial. Attendance at mediation is mandatory although settlement of the case is not required. If the case is not resolved at mediation, a pretrial conference will be held and the matter will be assigned a trial date. The law protects any person on active duty in the military. You must verify to the best of your ability whether the defendant is on active duty. If you know the SSN, you may obtain verification at the Defense Manpower Data Center (DMDC) website. You should print and file the report. The web address is: http://www.defenselink.mil/faq/pis/PC09SLDR.html. If you do not know the SSN, you should contact the DMDC by mail. The mailing address is 1600 Wilson Bourlvard, Suite 400, ATTN: Military Verification, Arlington, VA 22209-2593. A self addressed, stamped envelope is required. If there is proof in file that defendant has been properly served with notice of the claim, and if there is proof in the file that the defendant is not on active duty in the military, and if the defendant fails to appear, then a default judgment may be entered in favor of the plaintiff, upon presentation of sufficient facts. Preparing for the trial It is crucial to be well prepared. To prepare for the trial, collect all papers, photographs, receipts, estimates, canceled checks, or other documents that concern the case. Do not assume that the judge knows anything about your case. It may be helpful to write down ahead of time the facts of the case in the order that they occurred. This will help organize the case and make a clear presentation of the story to the judge. It is also a good idea to sit through a small claims court session before the date of your hearing. This will give you first-hand information about the way small claim cases are heard. If the defendant fails to appear for trial, the plaintiff will be granted judgment for the amount of the claim proven in court, plus costs--provided the plaintiff can show proof of service. If the plaintiff fails to appear, the claim will be dismissed; however, generally the court will permit the plaintiff to start over, if good cause for the non-appearance is shown. Except as noted, any party dissatisfied with the decision of the small claims court may appeal that decision to the Superior Court. Provided, however, the party who files a claim or counterclaim cannot appeal unless the amount claimed (the amount asked for, not the amount of the judgment) exceeds $1,000. And provided further, no party may appeal a judgment where the amount claimed is less than $250. You are not required to have a PayPal account to pay by debit or credit card. We do not take card information over the phone for security reasons. We will file the small claims with the court to obtain a case number and trial date. You will be provided with a copy of the Notice of Small Claim and we will serve the opposing party and file the proof of service with the court. In the State of Washington, a person may sue for up to $5,000 in Small Claims Court. Small Claims is an easy and inexpensive way to resolve disputes in a timely manner. Lawyers are not allowed to represent in small claims court but can be consulted through the small claims process. Any individiual, business, corporation or partnership may bring a suit for an amount up to $5,000. ,and this amount is still due. Small claims are filed to resolve disputes without a lawyer. Court staff cannot give legal advice. You may talk to a lawyer at any time for help with your claim, but lawyers are not allowed to participate in small claims hearings without the judge’s permission. The amount claimed (including the value of property) must be $10,000 or less. If you are claiming money and property worth more than $10,000, you cannot file a Small Claim. Go to www.courts.oregon.gov, or see a lawyer for advice. Claims for more than $750 and up to $10,000 can be filed in either Small Claims or general civil court. Lawyers can represent you in general civil court. Claims for $750 or less must be filed in Small Claims court. An exception allows these claims to be filed in general civil court if the law you are suing under specifically allows lawyer fees to be awarded. Talk to a lawyer for more information if you think you are entitled to recover lawyer’s fees and want to file a claim for $750 or less in general civil court. You must make a “bona fide” (good faith) effort to collect your claim from the defendant before you file. If you are asking for money damages, you must itemize and prove your actual loss. Guesses or rough estimates are not good enough. Written professional estimates may sometimes be appropriate, such as claims for repair costs to a home or vehicle. Do not request a lump sum where itemized costs are involved. The defendant was supposed to perform an act under the contract (if your claim is based on a contract). WHO SHOULD YOU NAME AS A DEFENDANT? When you file a claim, the names of all defendants must be complete and correct. Use the name the defendant used at the time your claim first arose. For example, if your contract is with “Easy Pay Way”, but it is now out of business and you are suing the owners, name BOTH Easy Pay Way and the owners John Smith and Angela Smith. A legal entity such as a corporation or LLC. Be sure you have the full, proper name and any initials of the entity (like “Inc.” or “LLC”). FILING A SMALL CLAIM FOR A BUSINESS OR AGAINST A BUSINESS? If the defendant is a legal entity such as a corporation, LLC, OR PC Use the entity's full name and address, and include the name and address of the Registered Agent for the entity. The Registered Agent is the person who will actually be served with the copy of your claim. All entities must have a registered agent for this purpose. You must serve the proper Registered Agent or your service will not be complete. Name all the partners that you know of “dba (doing business as) [the business name]” as defendants. You must serve each partner (also called a “party of interest” or “owner”) with a copy of the claim and a Response form. Use the entity's full name, then state the assumed business name and address for the entity. Then state the name and address of the Registered Agent. “Public Body” is defined in Oregon Revised Statutes 30.260 and means more than just government agencies. Use the defendant’s full name. Do NOT use acronyms or abbreviations. Make sure you use the current name of the defendant. Pay the Claim within 14 days of receiving service. This includes your court fees and costs. Payment should come directly to you. Defendant may provide proof to the court that the claim is paid and you may file a notice with the court to dismiss your claim. You are free to settle with the defendant for any amount at this point. If you are suing to return property, the defendant can return the property to you. amount of either the claim or counterclaim is over $750. If the defendant denies the claim, you will be notified by mail of the date and time to appear for a hearing. If you cannot appear at the time set, you must give a good reason in writing to the court at least 14 days before the hearing date. If the defendant demands a jury trial, you must file a formal complaint within 20 days after the court sends you notice to do so. If you don’t, the case will be dismissed and you may have to pay the defendant’s fees plus a prevailing party fee. If the defendant does not file a response within 14 days of the date of service, you can ask the court to grant you a default judgment. This means that you win because the defendant did not respond. To request a default judgment, you must file a Motion for Default Judgment & Defendant Status Declaration with the court within a certain number of days from the date of service or your case may be dismissed after written notice to you. You may have to re-file your claim and pay filing fees again if this happens. See the court’s Supplemental Local Rules, or contact the court for time limits. For public body defendants – you must send a notice of your intent to apply for default to the defendant before filing for default. For state agencies you must also send a copy of the notice to the Attorney General. The court cannot issue a default less than 10 days from the day you serve the notice on the defendant (and the Attorney General if ecessary). You must formally serve this notice according to Oregon Rule of Civil Procedure 9. You must also file a proof of service with the court. Fill out the Motion for Default Judgment & Defendant Status Declaration, and complete a Small Claim General Judgment. File both with the court clerk. The prevailing party fee is listed at ORS 20.190. If you request more than 9% post-judgment annual interest, you must provide the court with a copy of the contract at the time you request a Default Judgment. You must provide a Declaration of Non-Military Service before the court can order a default judgment. This is part of the Motion for Default Judgment. If the defendant is in active military service, you cannot get a default judgment unless the servicemember has waived protection under the Servicemember’s Civil Relief Act. This federal law starts at 50 U.S.C. App 501. If the defendant is in the military, you should see a lawyer before trying to get a default judgment. If a default is not done properly, the defendant can re-open the case after returning from service. Be aware that if you knowingly make false statements about the defendant’s status, you may face both federal and state penalties. If you know the defendant is not in the military, you must state facts that explain how you know. Some things that are not supporting facts are: he has long hair, he has problems with authority, she does drugs, she’s too old, or he is not a U.S. citizen. If you have the defendant’s Social Security Number and date of birth, you can go to the Department of Defense’s website at www.dmdc.osd.mil/appj/scra/scraHome.do to find out if the defendant is in active service. This site can give you a free statement of service status that you can print out (called a “certificate of service” on the website). Attach this statement, or a printout of the screen (by pressing the “print screen” button on your keyboard), to your motion. You can also call 571.372.1100 for military verification. Put the date and the name of the person you spoke with on your motion. If you don’t have the Social Security Number or date of birth, commercial websites may be able to provide information. If you don’t know whether the defendant is in the military and have checked the website, or don’t have the necessary information, mark “I am unable to determine whether this person is in military service” and add any facts that you do know. The judge will decide whether to grant the default. The court will send you a notice telling you whether your default was granted. If mediation is not successful, your case will be set for trial. Small claims trials are informal so that the parties can handle their own cases. Lawyers cannot appear without special permission of the court. You, as the plaintiff, must prove your case. The defendant must prove any counterclaims (counterclaims are claims the defendant has against you. They are NOT defenses to your claims against the defendant). Come prepared with factual evidence like receipts, a written contract, police reports, witnesses, etc. Bring the following to support your claim: Records, documents, bills, original contracts, photos, written repair estimates, etc. Make copies of any material that you may wish to submit to the court and bring the copies AND the originals to court. You must bring copies for the defendant’s reference. Once your trial is over, the judge will make a decision and enter a judgment. You will receive a copy of this judgment. The judgment tells you how much the award is and who the judgment creditor is. 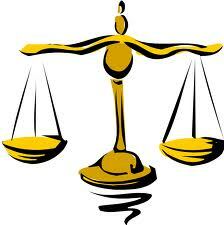 The “judgment creditor” is the person who gets paid, and the “judgment debtor” is the person who has to pay. NOTE: There is NO APPEAL from a Small Claims judgment. The judge‟s decision is final.